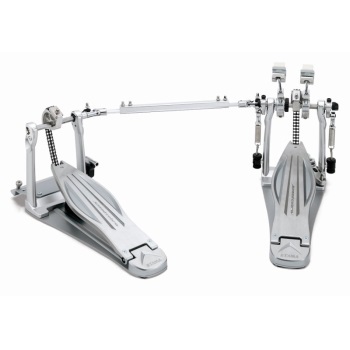 Over the years, one of the greatest challenges facing drum pedal manufacturers has been to provide a pedal that does it all. Or at the very least, focuses on the most critical features that drummers absolutely demand to enhance their performance. A difficult task, by any means. By today's standards the two most important features desired are speed and power. With most pedals, if you adjust the playability to address speed, you can sometimes lose power. And if you focus primarily on the feeling of power, you sometimes lose the desired speed. Now, the rules have changed. TAMA has Speed Cobra that delivers not only pure raw aggression and power, but lightening fast.